A wonderfully unique and exciting novel! In 1688, torn by rebellions, England lives under the threat of a Dutch invasion. Redheaded Calumny Spinks is the lowliest man in an Essex backwater: half-French and still unapprenticed at seventeen, yet he dreams of wealth and title. 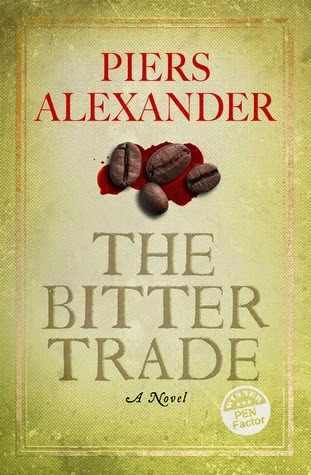 When his father’s violent past resurfaces, Cal’s desperation leads him to become a coffee racketeer. He has just three months to pay off a blackmailer and save his father’s life - but his ambition and talent for mimicry pull him into a conspiracy against the King himself. Cal’s journey takes him from the tough life of Huguenot silk weavers to the vicious intrigues at Court. As the illicit trader Benjamin de Corvis and his controlling daughter Emilia pull him into their plots, and his lover Violet Fintry is threatened by impending war, Cal is forced to choose between his conscience and his dream of becoming Mister Calumny Spinks. If I had to describe this book, I would say it was fun and unique. The opening pages with the unique voice of the protagonist, Calumny Spinks immediately gripped me. I always enjoy a story with odd an unusual quirky characters, and this novel has them in abundance. The novel is set in 17thcentury England during the revolution and a pending Dutch invasion and around the time the coffee industry was taking hold. There were plenty of secrets, lots of dissention, and extremely colorful scenes from start to finish. With its unpredictable plot, great storyline, and lovable main character, there is much to enjoy. For a unique reading experience, I definitely recommend this wonderful novel.